“There’s an element of risk for the writer in publishing a first collection of poetry. How will it be received? Will it resonate with readers? Will it sell? 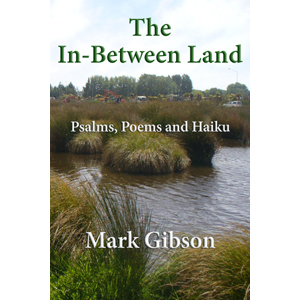 Mark Gibson has taken those risks and more, with this his first published collection of poems. 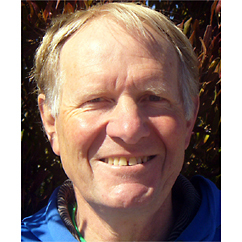 These deeply personal reflections on his spiritual journey from the time of the 2010-2011 Canterbury earthquakes carry with them the additional risk of self-exposure. Not surprisingly, given the context, raw emotion is to be found in these pages. It is expressed in a way that will enable both those who have lived through and with the earthquakes and those without such direct experience to recognise and connect with the highs and lows, the despair, and the glimpses of grace and beauty. The collection, as the subtitle indicates, is divided into three sections – psalms, poems, and haiku. The 15 psalms provide a prelude to the body of the collection – some 50 poems grouped thematically – and the haiku are almost a postscript. It’s an attractively presented volume – the cover photo, presumably the poet’s own, though unattributed, draws us in to the natural world that features strongly in all the writing. The voice is consistent with the Mark Gibson many of us know, with his strong concern for ecology and the environment. In other places, the essence of the poem is wrapped in too many words, as in No one comes: “open the doors / set out chairs / make everything ready / sit down and wait / anxiously watch clock / no one comes.” This would have been stronger if it had moved from “make everything ready” to “ no one comes”. If I had edited this work, I would have placed ‘Torrent Bay Escapes’ at the end of the poems, inviting the reader to consider his or her place of escape to a safer, more harmonious environment, far enough away from the challenging realities of daily life. And there I would have ended the collection. Whatever I might think about editing, the content of this collection does what it sets out to do, which is to tell the story of the people who lived through the earthquakes, to encourage appreciation for the natural world, and offer hope for the future. This entry was posted in Reviews and tagged earthquakes, New Zealand on October 15, 2015 by Philip Garside.